As climate change, environmental degradation, rapid urbanization and population growth contribute to an expected increase in the number and severity of emergency events, the humanitarian community is called to respond to an unprecedented number of people in need. 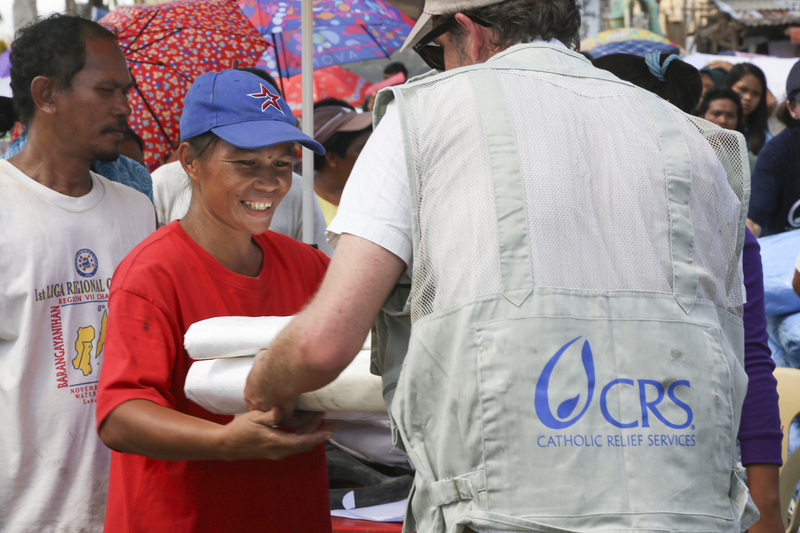 Catholic Relief Services has provided such humanitarian assistance for more than 75 years. In 2014, CRS reached 8.7 million people through our emergency preparedness, response and recovery work. In response to natural disasters and complex emergencies, CRS engages the U.S government and the United Nations on a policy level to ensure that the systems and structures we work with are effective in our collective response to emergencies. We currently advocate the following six positions. READ FULL POLICY BRIEF HERE. Robustly fund key U.S. government accounts for emergency preparedness, response and recovery. While the U.S. government has been generous in its emergency assistance provisions, the growing need for funding during crises requires increased support to ensure that these accounts are funded sufficiently for as long as it takes to achieve recovery. Recovery funding is particularly important because once relief efforts are underway and a disaster is no longer in the public eye, funding declines. Adequately fund capacity building of local partners in emergency response and recovery. Because of their permanent presence and experience within a community, local institutions are uniquely positioned to respond to emergencies. We advocate for grant funding to INGOs and partners to build local institutional capacity. We also recognize the need to research and document how local NGOs effectively respond to emergency needs. Increase attention and funding for disaster risk reduction. More funding for humanitarian assistance should be linked to long-term disaster risk reduction and development approaches that build up communities most prone to the effects of shocks and stresses. This funding should extend over a longer time frame. Promote an integrated approach to emergency assistance. Integrating emergency assistance with protection and peacebuilding deepens social cohesion, strengthens faith institutions and other credible local leaders, and addresses the root causes of crises. We support funding that prioritizes locally led initiatives that integrate peacebuilding into emergency response work, and encourage increasing funding for peacebuilding and psychosocial programming such as counseling, creating safe spaces for women and children, and gender-sensitive approaches. Implement appropriate counterterror regulations. In trying to protect U.S. funds from being misappropriated by terrorist groups, the U.S. government seeks to compel INGOs to engage in activities that threaten relationships with local partners, ultimately damaging ongoing efforts to address the root causes of terror. Constraining legitimate local humanitarian organizations from assisting their communities can leave terrorist groups as the only remaining conduit for aid. We advocate for counterterror regulations that are effective, yet make space for humanitarian work that is consistent with humanitarian principles. Directly fund implementing agencies to reduce transaction costs. U.S. government funding for humanitarian response currently flows to the United Nations, INGOs and local institutions. Funding should take the most direct and least costly route to implementers, whether through INGOs or local institutions, to make programming more effective and efficient. The United Nations should promote participation from all stakeholders in this effort.